Group Tour Package 001 – Touristland Travel Solutions Pvt.Ltd. Up on arrival our representative will receive you from Ernakulam railway station,receiving and proceed to hotel ,check in after fresh up drive for sightseing visit , Jewish Synagogue, St.Francis Church, Chinese Fishing Nets etc and night stay at Cochin. 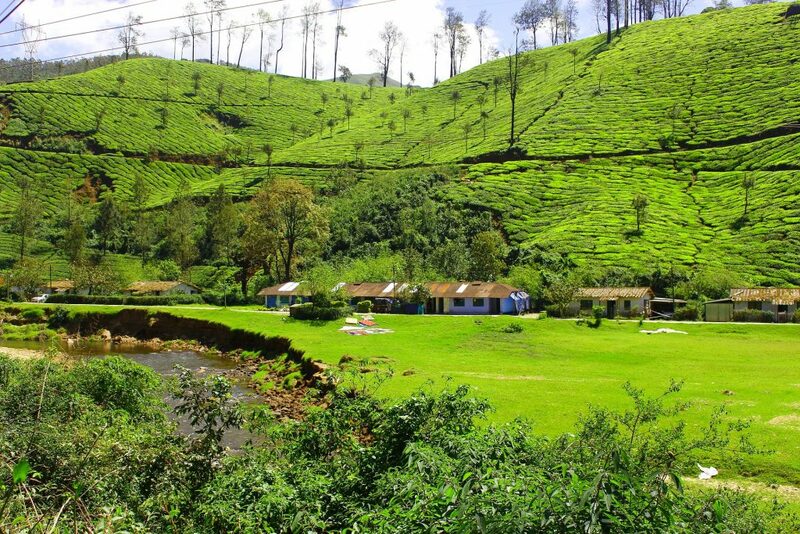 Morning after breakfast proceed to Munnar on the way you can watch the rubber and pineapple plantations, the lovely waterfalls in Cheeyappara and Valara Karadippara view point and overnight stay at Munnar. Proceed for sightseeing trip of Munnar after the breakfast; Visit Eravikulam National Park at Rajamlai where you can see the rare specious of Nilgiri Tahr, Mattupetty Dam which offers many fascinating sights to relish, the Shola forests around Mattupetty area and Kundala Dam. Visit Photo shooting Point, Echo Point, View Point & the green carpet of Tea Gardens on the way. Overnight stay at Munnar. Proceed to Thekkady; Enjoy the drive through the tea mountains and the picturesque green carpet of the nature.Visit Periyar wild life Sanctuary. Go for boating in Periyar River ( own cost ) Check in to the hotel. You can recreate yourself by having activities like spice plantation Tour, Bamboo Rafting, Trekking and Elephant ride. Overnight stay at Thekkady. Proceed to Alleppey after the breakfast; check into the hotel .Enjoy the real backwater beauty (boating own cost)Evening leisure at Alleppey beach and night stay at Alleppey. Day 06: Alleppey – Cochin Departure. In the morning check out from the hotel with a promise to return once again to Kerala.if time allows do the shopping Proceed on time to board your train from Ernakulam railway station with sweet memories of your holidays in Kerala. Accommodation on triple sharing basis including all taxes in hotels. Complimentary breakfast in standard hotels. All Expenses related to Vehicle included. Entrance fees to wherever necessary.